If I am not mistaken, let me speak my heart out that a wooden bed is the worst furniture item. Don’t take me wrong buddy, well this is actually about the price that we pay for the market oriented wooden room bed. This costs us hundreds and sometimes thousands of dollars, this is what pisses me off. But I am not being exploited anymore, I do all this at my own. 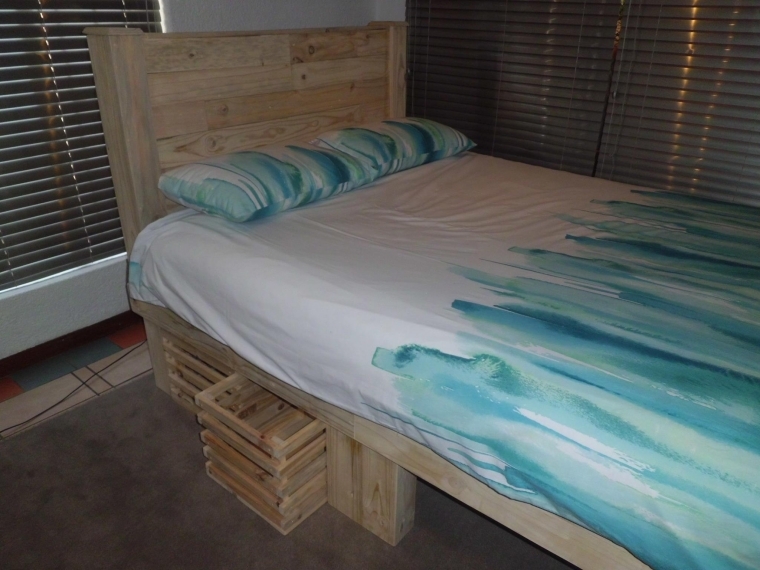 I recycle each wooden item with the pallet wood and save a lot of money. 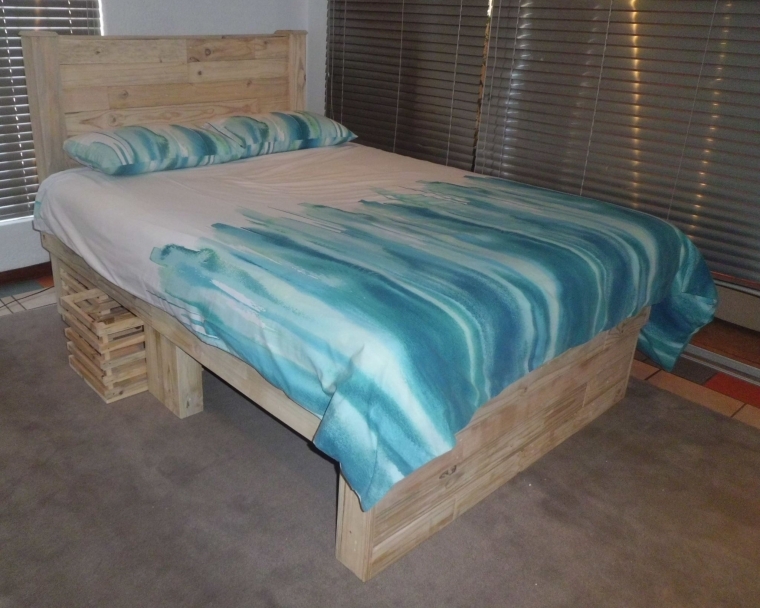 Just have a look on this big pallet bed with headboard. 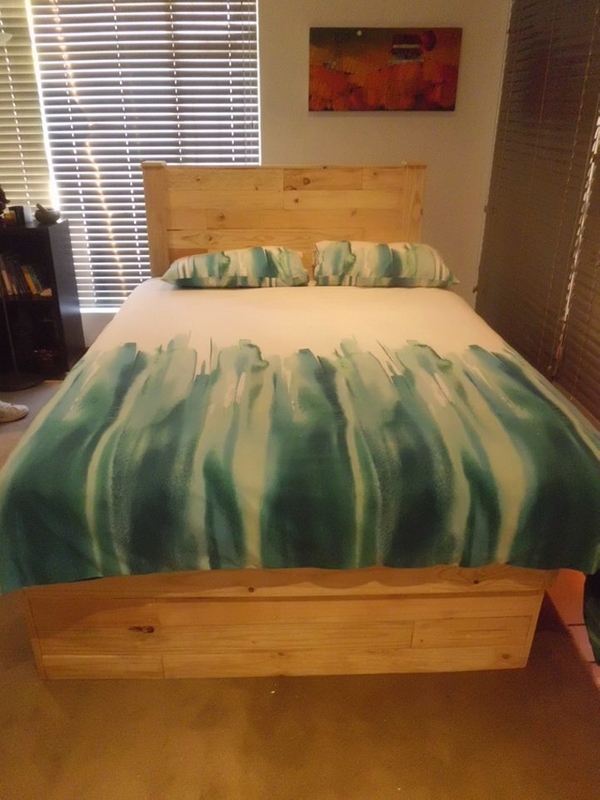 As of now I am going to present a big pallet wood recycled bed with a headboard, you guys would be amazed to see all of the features in the room bed. This isn’t at all an ordinary room bed like all others, let’s explore what exactly it has got for us. First of all have a look on the delicate wooden pallet headboard that we have mentioned in the title as well, so this was a must have for the article. We kept it quite simple with no additions or some embellishments to make it look like a sophisticated room furniture item. 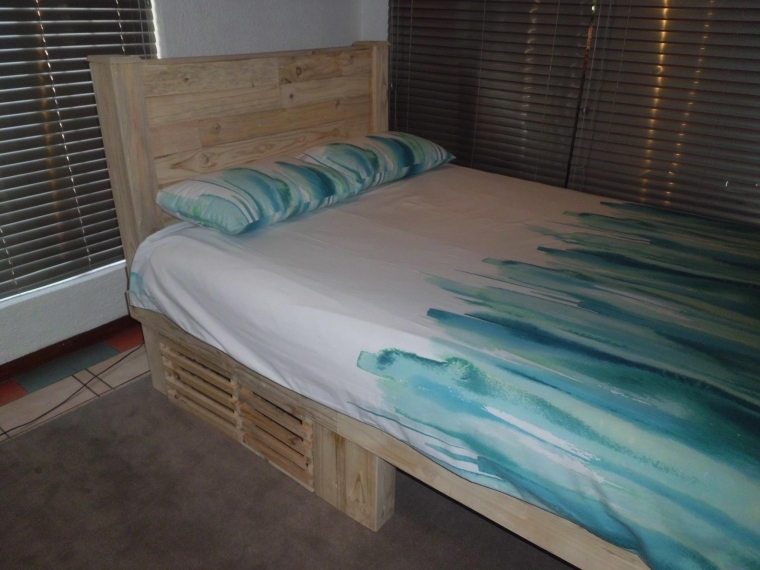 What next we did to the pallet wood bed, we generated some ample storage space right beneath the bed frame where we installed a couple of wooden cabins or drawers that can be grabbed out and were fixed with a railing, use them for some night time accessories like an additional blanket or some pillows etc. 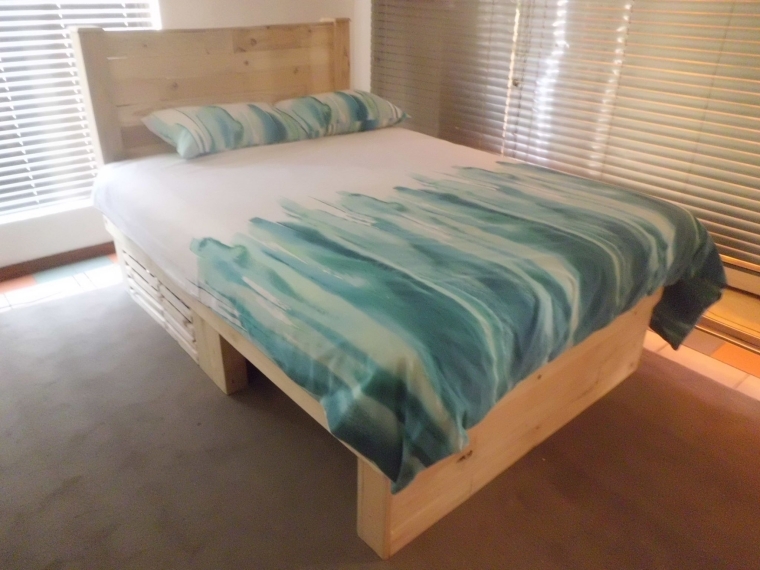 And finally have a distant look of the room pallet wood bed with headboard. I think this is a great wooden creation from each and every perspective. Despite staying unstained it still makes an impact, it looks great lying in the room. So better save your money and recycle one for you.